This spacious 27-inch monitor gives your creative passion the room to flourish in professional photography, design, print, and post production. It features a built-in self calibration sensor for hassle-free monitor maintenance, vivid colors reproduced to industry standards, and exceptionally high contrast for producing true blacks. Learn about color management, software and printer settings for optimal screen-to-print matching, and more with free digital resources from EIZO. 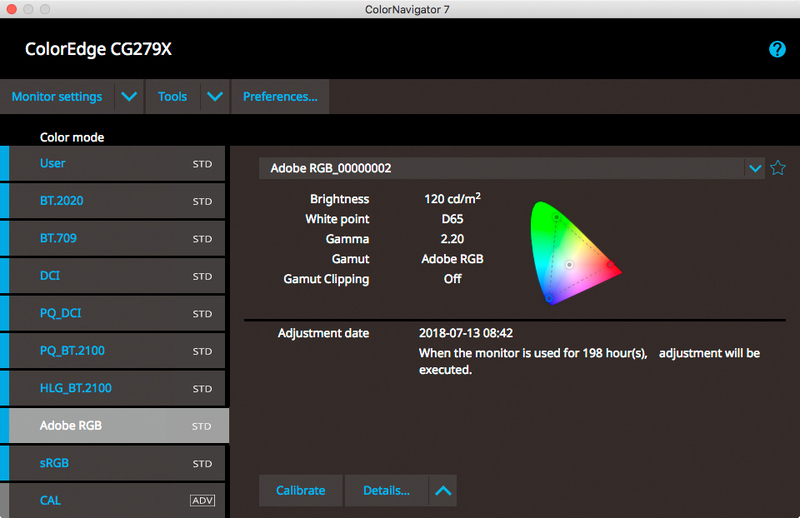 ColorNavigator 7 is the latest calibration and quality control software for ColorEdge color management monitors. 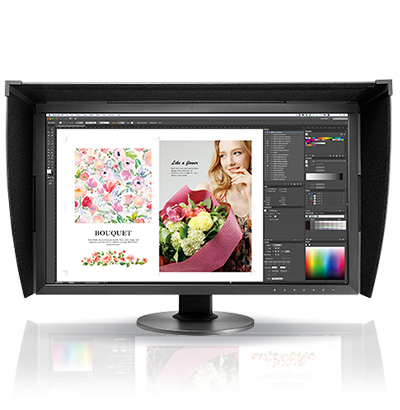 It combines all the features of EIZO's previous color management software, ColorNavigator 6 and ColorNavigator NX, to create a new and improved solution for creatives in a range of fields. The proprietary software makes calibration simple and produces predictable results for photography, design, print, and video creation. ColorNavigator Network provides centralized quality control of ColorEdge monitors that have ColorNavigator 7 or NX installed. Administrators can set color modes, schedule self-calibration, register or adjust asset management settings, and other tasks whether the monitors are local or remote. ColorNavigator Network is hosted on a secure cloud server to free you from the initial investment and running costs of providing your own server. 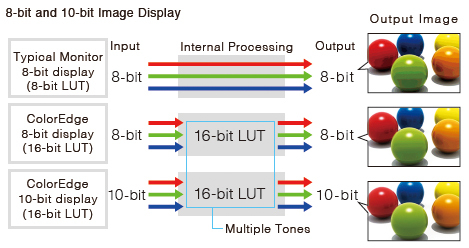 *A graphics board and software which support 10-bit output are also necessary for 10-bit display. Equipment that supports Deep Color is necessary with the HDMI inputs. 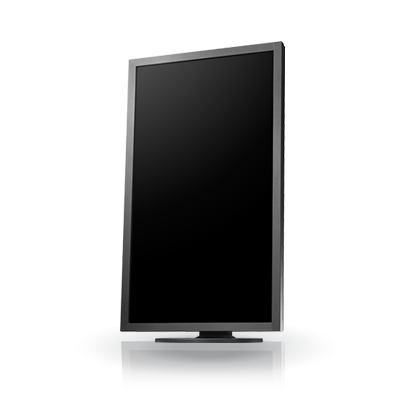 The color and brightness of an LCD monitor can shift due to changes in ambient temperature and the temperature of the monitor itself. 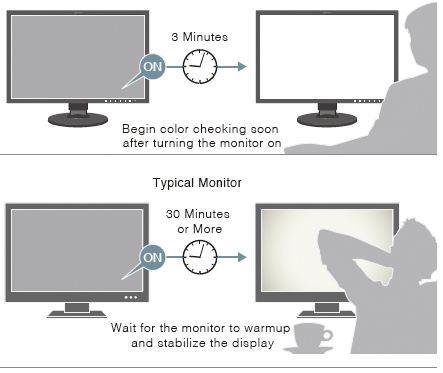 ColorEdge monitors are equipped with a temperature sensor for accurately measuring the temperature inside the monitor, as well as estimating the temperature of the surrounding environment. With this temperature sensing and estimation technology, the monitor adjusts in real-time so gradations, color, brightness, and other characteristics continue to be displayed accurately. Read more about image quality stabilization in our White Paper. 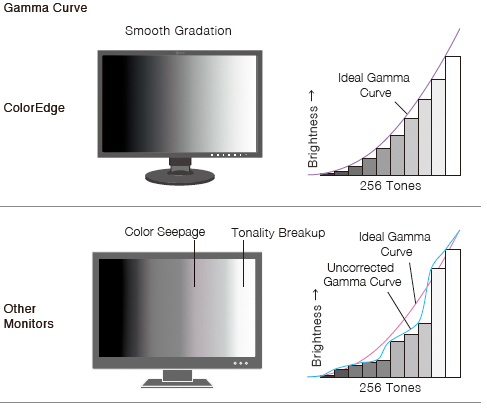 LCD monitors commonly exhibit fluctuations in brightness and chromaticity across the screen, affecting color accuracy. 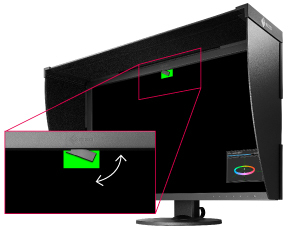 To counter this, ColorEdge monitors are equipped with EIZO's patented digital uniformity equalizer (DUE) technology which corrects deviations in every tone across the screen to ensure stable display. 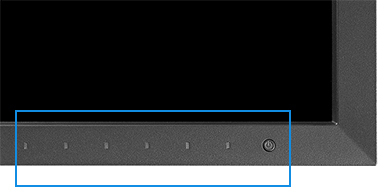 *Typical value when DUE Priority is set to "Brightness". 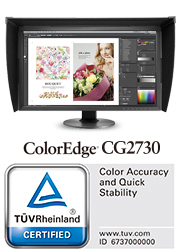 The brightness and color of the ColorEdge CG2730's warranted for up to 10,000 hours* from the date of purchase. The monitor has obtained TUV Reinland's Color Accuracy (Quick Stability grade) certification. 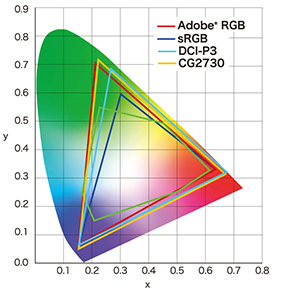 Color Accuracy is the first quality and performance criterion to measure the color accuracy of display devices for multiple graphics fields such as photography, post production, design, and printing. Evaluation carried out with the monitor's DUE Priority set to Uniformity. 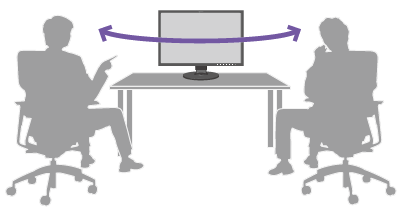 January 23, 2019 A USB signal transmission error may occur between some PCs and EIZO monitors when using EIZO software. This document explains the correction effect by our own display stabilization function by using measured values. 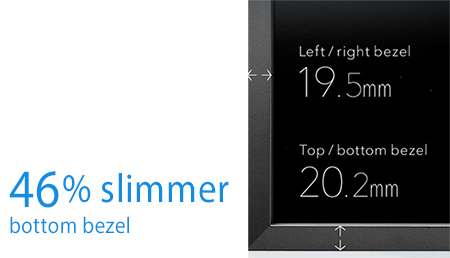 In addition, we will explain about the display stabilization function evolved by utilizing AI. 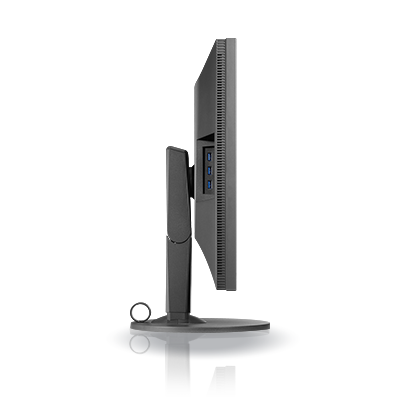 "With a 100% RGB coverage, the EIZO CG730 already stands out in an oversaturated market. 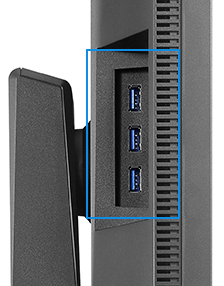 It's the little details though that make it a 5-star monitor - the completely black bezel, the self-calibrating sensor, its splendid port options." 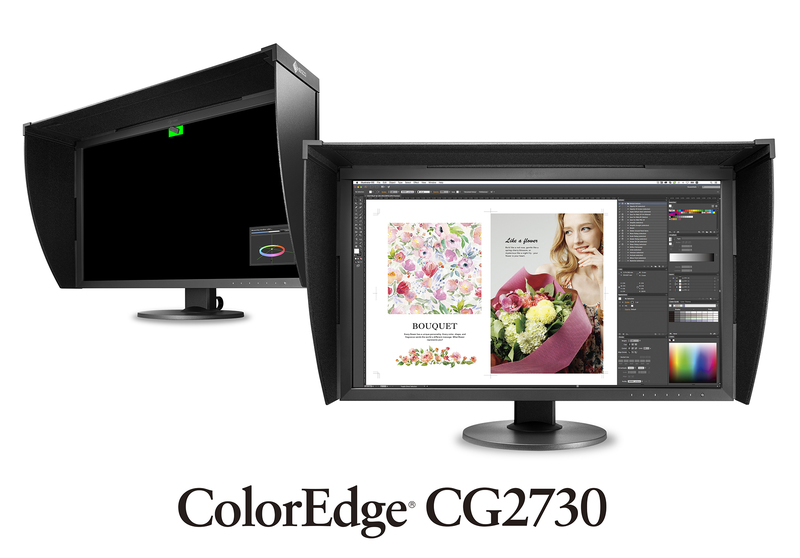 "The EIZO ColorEdge CG2730 is an excelent monitor for photo and graphics professionals. With perfect picture quality and neatly supplied accessories, the CG2730 is consistently convincing. Particularly useful is the built-in colorimeter, with which you can calibrate the monitor without external hardware." 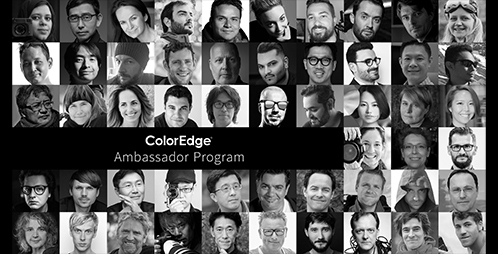 "The ColorEdge CG2730 is designed for serious graphics users, particularly photographers and designers who can benefit from easy and accurate colour calibration and superior stability." 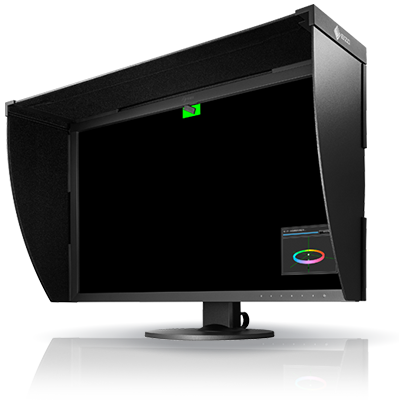 "The EIZO ColorEdge CG2730 fulfills the needs of a professional photographer. With a screen size of 27 inches and a high resolution, it can show an image at A3 size and still leave ample space for the adjustment palettes of your software. The picture quality is outstanding with a high contrast ratio (1500:1), the ability to reproduce deep blacks, and marvelous colors that cover 99% of the Adobe RGB color space. The most innovative feature is its easy-to-use built-in calibration sensor, which swings onto the screen when calibrating and allows different profiles to be saved, eliminating the need for third-party devices. Furthermore, the display comes with a shading hood."